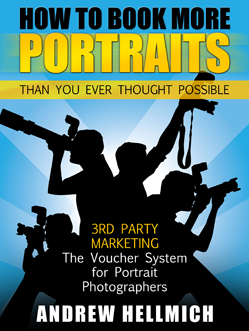 James became a PhotoBizX Premium Member, should you? You probably don't want a list of reasons why you should join the membership from me. Always happy to share my successes and failures with you mate! Like I have said time and time again, I owe a lot of my success to PBX and what it has done for my business awareness. 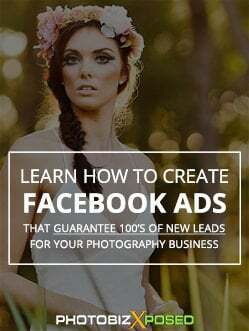 Since I joined, I signed up primarily for the Facebook Ads Course, and the Online Sales course (this one was the money-maker for me). Firstly, before joining, in the 6 months prior, I think I had only had maybe 2-3 shoots. Of these, I was charging a set fee and getting $295 per shoot. To make it worse, I was struggling to get shoots in at this price, which was crushing my spirit. I had no idea how on earth I could make a business out of this. Fast forward to today, I have done over 50 shoots in the past 3 months! That is all well and good, but it's not just the number of people coming through, it's how much they are spending. I know this will be dwarfed by some of the big hitters crushing $3,000+ sales with In Person Sales (IPS), but for me, this was a huge step. I now am enjoying an average sale of closer to $680!! That is nearly triple my average 6 months ago! And the beauty…it is only going up! I anticipate by this time next year my average sale will be pushing the thousand dollar mark. I owe all of this to the online sales course. I had no idea it could be so easy. Add a deadline (urgency) and a discount (incentive to act) and have your prices set so that the discounted price is the price you wanted all along – so you don't lose money! When I bought the course, I laughed, I thought surely this guy is an idiot, and he is insulting my intelligence. It cannot be this easy. I almost didn't bother trying it. What the Hell?! I still am amazed. I send out my online galleries and within an hour I usually have an email requesting I generate an invoice for the top package. It is so awesome and it inspires me to keep working hard. In fact, it has inspired me to leave my full-time job and focus on my photography full time (I have wanted to do this for years). I should also make mention, I owe a lot to PBX as well for linking me with Bernie Griffiths. I have not yet signed on with him (I'll be signing on for his 12-month intensive coaching program when I return from 2 months in Europe). He has helped me relentlessly. I email him and he replies within minutes with detailed help. I absolutely cannot wait to work with him. Actually, let me extend this thank you to soooo many of the PBX Premium Members. I don't have time to name you all, but so many of you have jumped on the phone with me, spent hours in messenger, or email, going back and forth trying to help me with my business. Some of you are even local to my area! Whoever says competitors should not help each other haven't been introduced to this group. You guys are all so helpful and it fills me with an abundance of confidence to the point I know I am going to be successful. Any roadblock I hit, I can put it out there and learn from your (and the members) experience. Oh and finally, I want to put a thank you out to Dave and Angela from Denae Studios. Your interview with them where they buy a voucher and run a promotion using it was amazing. I just closed out my competition. I was given (Yes, I didn't even have to buy it!) a $750 voucher for a 2 night stay at a luxury resort in NSW. On top of this I offered an engagement photo-shoot at the venue for the winner, valued at $750, so a total prize of $1,500! I thought I would get a bit of traffic but not much. The last time I tried something similar I barely got 10 entrants. Within an hour I had 70! After running it for 10 days, I had 377 entrants, picked up over 400 new likes on my Facebook page (which in turn has generated a lot more engagement, keeping me top of feed for longer) and really helped bolster my email list. My previous blog posts were getting 5-10 views on my website, now on average, they are getting 200-400 with this current email list. On top of all this, I offered second prizes (a free photo shoot (just the session, no free prints or files, with an 11 x 14 print with any purchase) to about 40 people who I carefully qualified this time). So far, after 3 days I have received 7 bookings, all of whom have paid my deposit within 24 hours and are already discussing weddings with me! This promotion cost me $25 all up, and could ultimately bring me in over $30,000 in income. Oh and one last shout out to Alisson Redmon. Her photography classes to book clients is genius. I am going to be implementing this when I return from Europe. I already have an entire class filled at $195/head, with classes of 6 to start with (would love to do 10, but I'll start small and work up). I am still receiving enquiries, so will probably end up running 2 or 3 classes (such a good problem to have haha). It's just brilliant. I am targeting parents in my local area, we do the classes whilst the kids are at school or daycare so it is really relaxed and I make $1,200 for 3 hours work. On top of this, the opportunity to then reinforce booking me as a photographer for those shots where you all want to be in it is genius. I will be offering up a discount for this to entice them to book with me on the day. Also, my wife has a candle making business and has implemented this exact idea in that business… and guess what… booked 2 classes – completely filled. $250/head for a 90 minute candle making class. Local mothers (primarily mums, no dads yet) are absolutely over the moon on this one! I want to go on and on about the people in this group, the resources, and the material Andrew covers, but I will stop! Honestly, if you read only one line, read this one! Andrew is probably the most influential person I have ever met in regards to my business. I still can't remember how I came by this group and this podcast, but at a tiny cost of $200 a year, I would happily pay 10 times this to keep involved with everything here! I really am excited for the future Andrew. Cannot wait to see who you interview next and what new resources you have coming our way! NOTE: If you'd like to trial the Premium membership and get full access to everything James mentioned above, you can do that for 30 days and for $1 here: https://photobizx.com/try If you love what you get, hear and learn, your membership will revert to $20 per month or you can sign up for 12 months like James and save.